All of us aware about the Google Talk app for android, which only supported text-based chatting, now offers voice and video chat for Android smart phones. 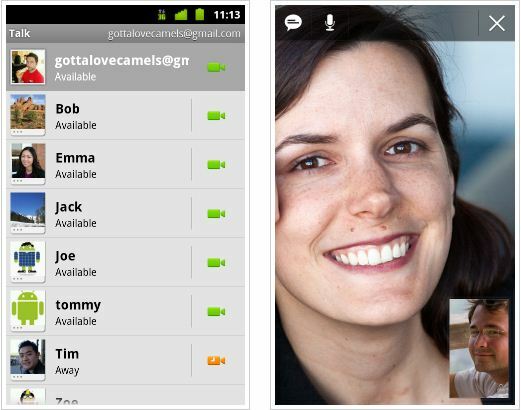 So now you can video or voice chat with your friends, family and colleagues right from your Android phone. 1. Go to your Google Talk friends list. 2. A video or voice chat button will appear next to your contacts. 3. Simply touch the button to connect with them.